Columbia Pike is one of the most culturally diverse neighborhoods in the world. 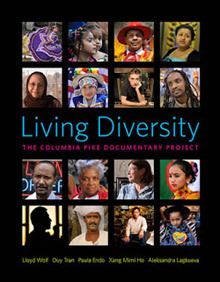 This book, Living Diversity, is a collection of work by the Columbia Pike Documentary Project, a team of photographers and interviewers that have captured the evolving life of the people and places that make up this historic corridor in Arlington, Virginia, immediately adjacent to Washington, DC, the nation’s capital. Five insightful photographers—Lloyd Wolf, Duy Tran, Xang Mimi Ho, Aleksandra Lagkueva, and Paula Endo—have collaborated to document the essence of the place they call home. Older established ways of life are still in place along the Pike, flourishing alongside large numbers of new citizens from every corner of the planet. Unlike many parts of the world, or even our own country, the stunningly diverse set of people who live here, old and new, and from every continent, do so in relative harmony. 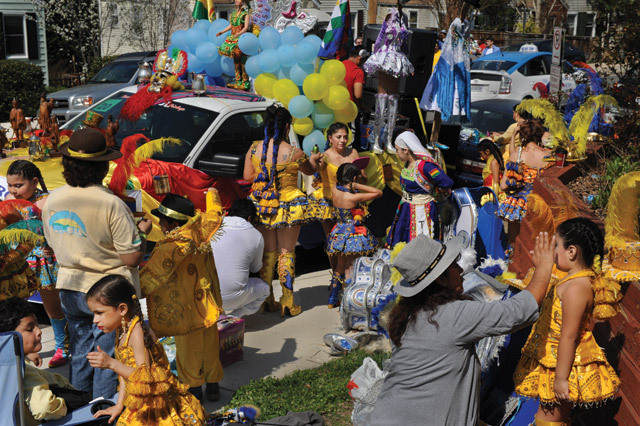 The book depicts historical, artistic, demographic, and cultural trends in this unique community, trends that are mirrored or in process in other areas of the nation. It visually presents an avenue for understanding the soul of this successful experiment in tolerance and diversity. It is an exploration, a celebration, a gritty and thought provoking journey, and a series of quietly expressed questions posed by each photographer. Our eyes, hearts, and minds were opened throughout this seven year journey. We trust yours will be also. Welcome to our corner of the world, to our time, and to our vision.